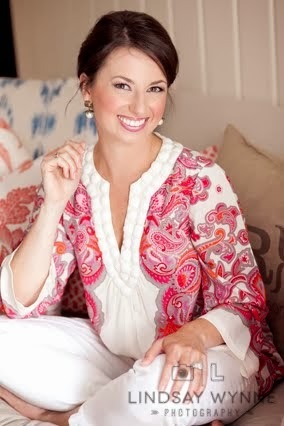 When I began thinking about appetizers to make for Ashley's baby shower, I knew I wanted them to reflect her style -- Southern and classic. Finger foods are a must as well; it was going to be a fairly large shower and strangers and double-dipping just don't mix. Mom has been making these cucumber sandwiches for as long as I can remember. The recipe is so easy, and I bet you already have two or three of the ingredients in your fridge or pantry. Start off by letting your cream cheese come to room temperature to soften. Remove some of the cucumber peel with a vegetable peeler, then slice into rounds with a knife or mandoline. Set on paper towels to dry and soak up some of the water. In a small bowl, mix together the cream cheese with mayonnaise to taste. The mayo gives the softened cheese a smoother, spreadable consistency. You can add a pinch of salt, if desired. Using a cookie cutter or very small-mouthed jar, punch out the bread into rounds. For this shower, I used a heart cookie cutter which was very cute! 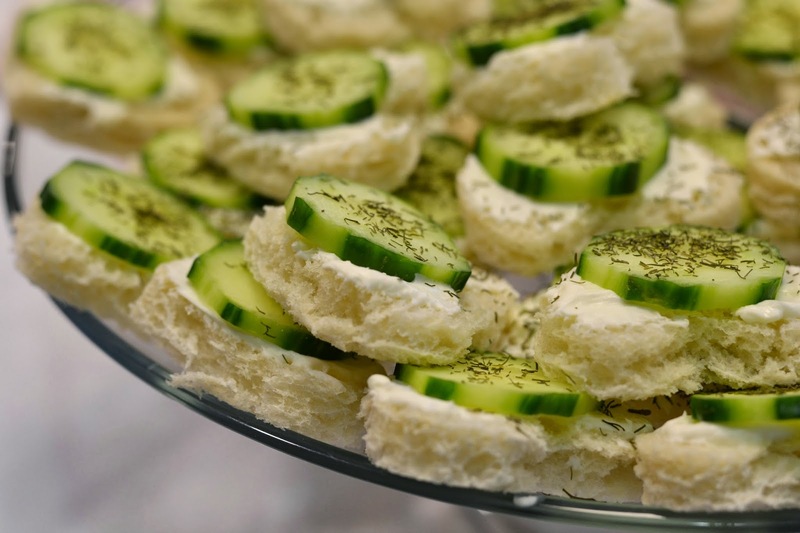 Top each bread round with the cream cheese mixture, top with a cucumber slice, and sprinkle on dried dill. 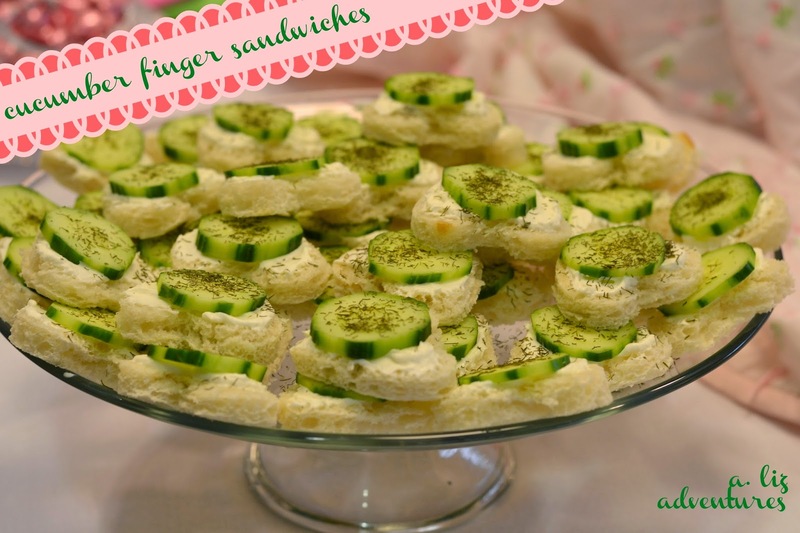 These finger sandwiches are just perfectly girly and a great party food since they are of the pick-up and pop-in variety. Additionally, if you have extra ingredients, you can make a really delicious cucumber sandwich for the next day using two slices of bread, the cream cheese spread, and several cucumbers. Aren't they adorable? They were also a hit ... the very last one was snapped up right at the end of the shower. Not a single one was left over. Delish! I love cucumber sandwiches, adding a bit of arugula or watercress to them is also scrumptious. Another tip -- salting the cucumbers after you slice them. It draws out a lot of the water so they get crunchy, then you just rinse and dry them before serving. Those look so delicious! Side note, your pictures look amazing! These are great & look perfect for any time you'll be entertaining! Thanks for sharing! 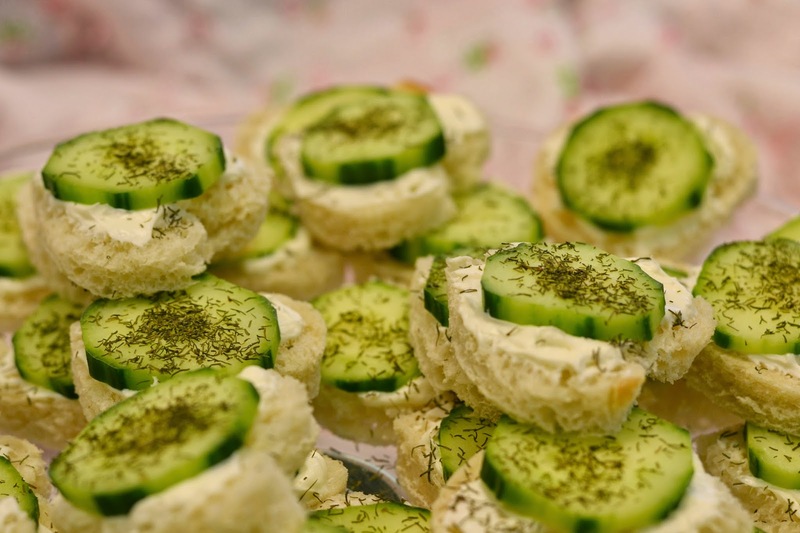 I adore cucumber sandwiches- like at teas, I have a problem with being greedy and wanting to munch them all! Maybe I will make myself some! How lovely these would be for a high tea! Thanks for posting that yummy picture because when I saw it, I instantly felt like it was 30 degrees warmer outside. 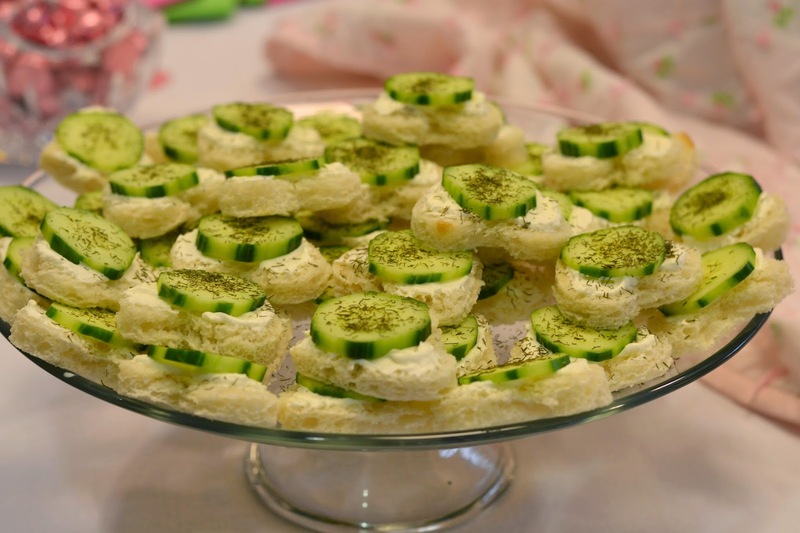 ;-) Cucumber tea sandwiches are my go-to favorite for spring and summer parties. My mom and I also do roma tomato slices with fresh basil on top...DELISH! Those do look delicious. Thanks for sharing your recipe! This is great! I was actually going to make these for a bridal shower I'm throwing in March! I am all about easy and cute...and these are both! Thanks for sharing! These look FABULOUS and are adorable! I am definitely going try them! Love your blog....I am a new follower! So easy and love the short ingredient list! Oh wow I bet they're great with the dill!! I might have to make this! Those look amazing pretty girl!!! I love a good cucumber sandwich.